In the mid-nineteenth century, oil colors began to be premixed and put in tubes. 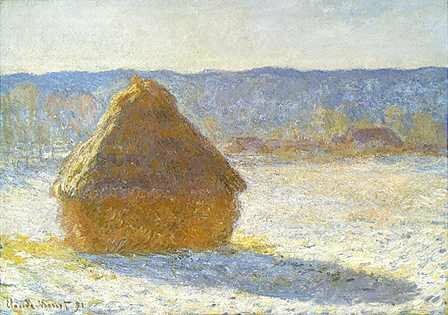 The French Impressionists took the tubes out on location to paint in natural light. This gave birth to the Plein Air movement, and painting took off in a new direction. 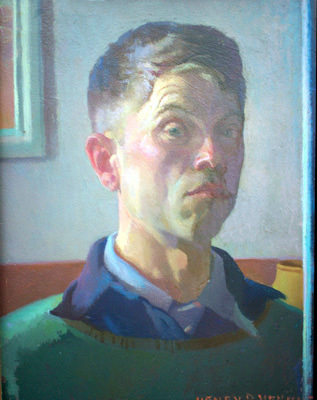 The painters exhibited in this gallery are dedicated to the study of the incredible variety of color in natural light and atmosphere. 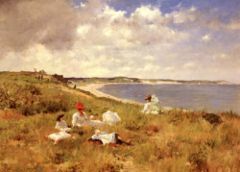 William Merrit Chase (1849-1916) was one of the first artists to paint impressionistic landscapes in the United States. While his training was in tonalism, his approach changed in the late 1880's to the bright, colorful pallette of Impressionism. In 1878, Chase founded the Chase School of Art, in New York. He hired Charles Hawthorne as his teaching assistant. Eight years later, Chase opened one of the first outdoor painting schools in the country, at Shinnecock on Long Island. Charles Weber Hawthorne established his own outdoor painting school in 1899, in Provincetown. He named it The Cape Cod School of Art. 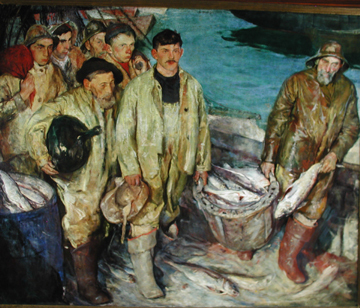 By 1916, this small fishing village had become the largest art colony in the world. Hawthorne was committed to the study and teaching of color relationships in specific light conditions, and invented a system of learning where a putty knife was used to apply the paint instead of a brush. The awkwardness of the knife kept the pupils from focussing on details but rather on larger masses of color. Hawthorne had a friendly, intimate way of teaching, and students learned not only how to paint but also how to "see and feel their subjects." He would often tell his pupils, "Anything under the sun is beautiful if you have the vision...It is the seeing of the thing that makes it so." Stephen Gilman wrote, "We came to Provincetown conceited, hoping to get a finishing course, and we were literally dragged back to to consider matters so elementary and fundamental we had all forgotten what little we ever knew of them. The deliberate insistence of fundamentals was the thing that marked Charles Hawthorne as a great teacher." Henry Hensche was born in Germany in 1899. His mother died before he was two. He lived in Antwerp Belgium until he was ten years old, when he arrived at Ellis Island aboard the British steamship S.S. Kroonland, along with his sister Erna, and his father Fred. At the age of seventeen, Henry began to work in the stockyards so that he could afford to attend the Art Institute of Chicago. He also studied at the National Academy Museum and School of Fine Arts, the Art Students League of New York, the Beaux-Arts Institute of Design, and finally at Charles Webster Hawthorne's Cape Cod School of Art. Henry became Hawthorne's assistant, and continued teaching Hawthorne's principles after Hawthorne's unexpected death in 1930. Henry was well loved and respected by many aspiring artists; they came from all over the country to study with him and witness his weekly demonstrations outside his home. For many of the artists exhibited at The Silver Lake Gallery, Henry was our mentor and guide to a new way of seeing. Henry passed away in 1992. Jim Beatrice was born in Massachusetts in 1948. Introverted and	intuitive, he spent a lot of time alone, drawing and playing music. He	studied clarinet, saxophone and oboe; and played in bands and	orchestras. Jim's musical training has given him the ability to see the	music in painting. Just out of high school, Jim apprenticed to Boston Sculptor Alfred	Duca. In 1968, he traveled across the country, stopped in Arizona for a	while, and then hitchhiked to Los Angeles, where he continued painting	while working as a common laborer to support himself. Returning to Massachusetts in the 1970s, Jim entered the Massachusetts	College of Art, and took classes at the Decordova Museum School. He was	introduced to Henry Hensche by a friend, Al Glover, who was studying at	Hensche's school in Provincetown. Jim was awestruck by Hensche's use of color. Jim drove to the school	in the truck he was living in for the Summer of in 1983, and studied	fervently with Hensche for the next five years. Within that period of	study, Jim met and worked with other students, and gained life-long	friends. 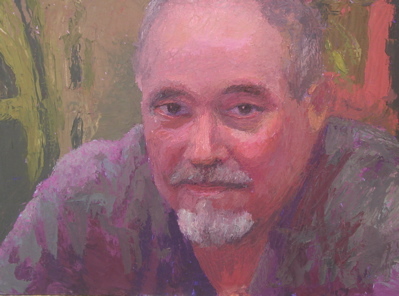 Jim has traveled to Mississippi to paint with Tommy Thurmond, who has	had a great influence on Jim's painting, and to New Mexico to paint	with David Farrell and Bonita Barlow, two of New Mexico's finest	artists. In early 2007, Jim Beatrce and Sandy Yukes opened Silver Lake Gallery in Newton.